Spring is finally making its way Down Under...yippee! I hope the rest of the week is fabulous for you. Better in Bulk , Create with Joy & Live and Love Out Loud . Thanks so much for visiting and spending time with me today in my little corner of the world Down Under; I truly appreciate your visits and your sweet comments! I bet the change of season will perk up your spirits, I know how tired of Winter you were getting. It may sound strange but I have been looking forward to Fall so that I can get back out in the garden. Here in the desert it is too hot to do much in the summer. Our planting season is from October to about May. There are a few weeks in January where we might get a light frost. Hi Natasha. What stunning photos. I just love pink in the garden, and that first garden quote is wonderful. How super for you to be seeing the first signs of spring. It is such a lovely season with new life coming up all around us. One of my bloggy friends in South Africa posted some lovely photos of her garden yesterday, with all the buds and flowers starting to appear. Magical! Stunning pictures! Spring is my favourite time too and Autumn which is fast approaching here. There are some buds that are about to burst in my garden too. I can't wait - I'm hoping for some pink flowers, hopefully as beautiful as these. Natasha, these flowers are gorgeous! Our flower did not survive the heat so well this summer. I had a few roses at the beginning of the summer, but most of the garden looked terrible. We had to water twice daily and even with that they did not do so well. Hope you are well and I wish we had spring all year round!. I so love spring too! They are gorgeous flowers :) Great photos!Happy WW! Beautiful flowers but we need fall. Have a great rest of the week. Lucky you waiting to greet Spring with these glorious pinks. Such spectacular flowers and colours. I love signs of spring. happy ww , thanks for linking up. Hard for me to fathom as we are going into fall you are going into spring. Great pics. Happy WW! Such lovely pictures--enjoy the new beginnings of springtime! wow..gorgeous blooms and pics...Thanks for visiting my blog. I'm dreaming of spring with you! Love the flowers! Bring on spring. I know we have mild winteres here in Brisbane but I'm tired of cold mornings. Ooh! I hope my garden turns out to be as pretty as yours! Happy Spring! Yes, my favorite time of the year! I am getting sad to say good bye to summer here! Thanks for sharing the beautiful photo's! 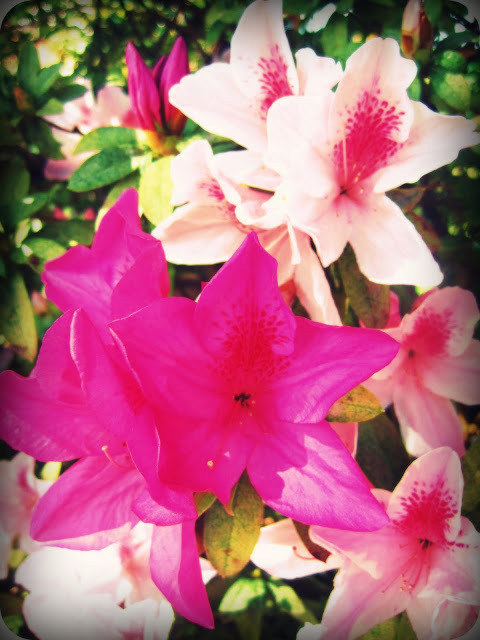 Lovely captures of your azaleas. 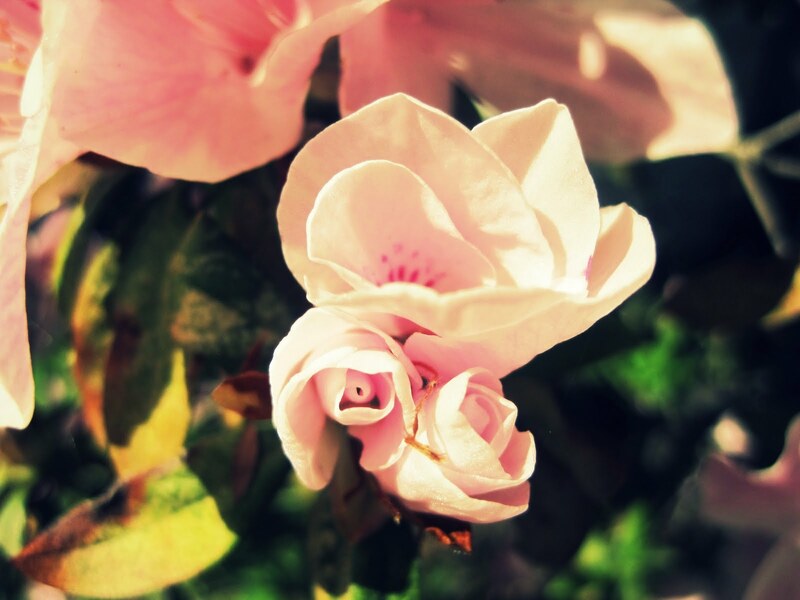 I love flowers. I am always so anxious for spring every year, so I know any little sign of it is exciting. And you have spring while we are heading into autumn! Hi! New follower! I love your blog! and I especially love all those pink flowers!! So pretty!! They are gorgeous...ahhh spring!! Love the beginning of new life in the garden - enjoy!! Thanks for stopping by and linking up for WW. I’m a little late to the party, but I made it nonetheless. Have a great day.